Most of us out there know Ponyo and The Secret World of Arietty. 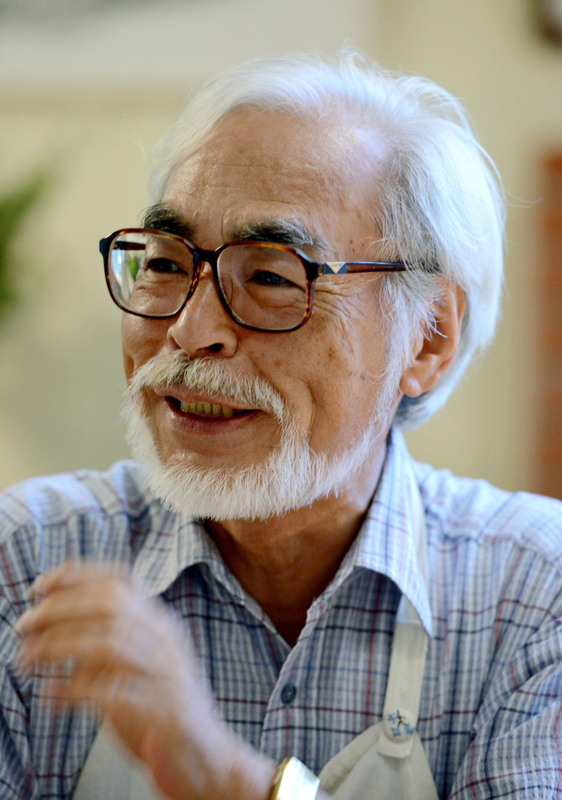 The mastermind behind those movies, Hayao Miyazaki, has done many different kinds of films. I present to you, Princess Mononoke. 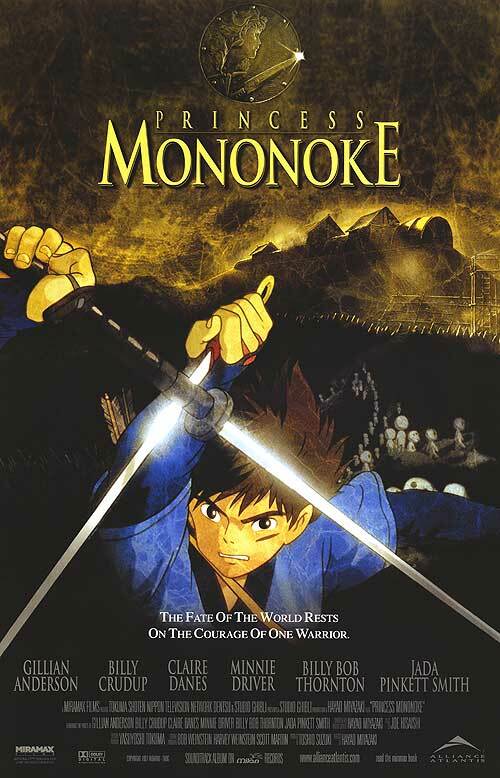 This was the movie that first introduced me to the worlds of Ghibli, and the creativity of Hayao Miyazaki. 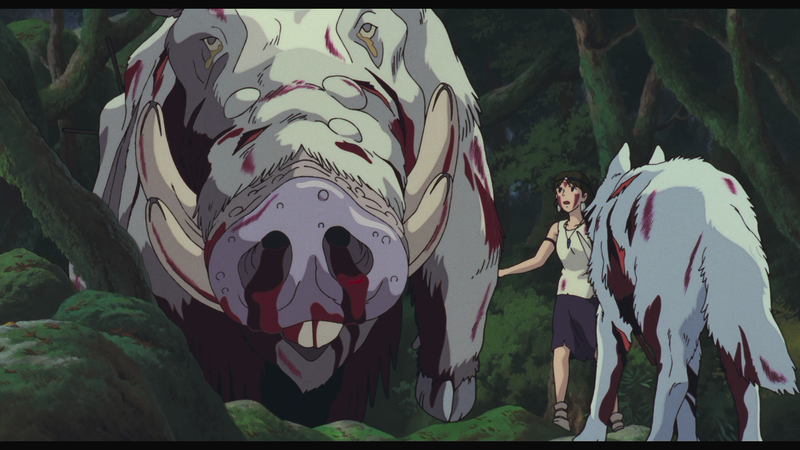 Unlike most of Miyazaki’s films, Princess Mononoke has the American rating of PG-13. And considering the tone and themes of the film, this rating makes perfect sense. 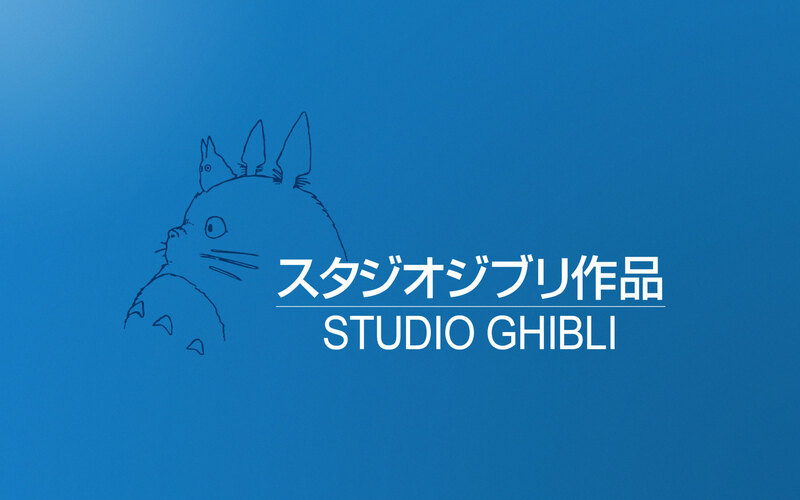 Ghibli was founded in 1985 by Hayao Miyazaki and a fellow director, Isao Takahata. Their first film as Ghibli was Nausicaa of the Valley of the Wind, although its release was before the Studio was officially founded. 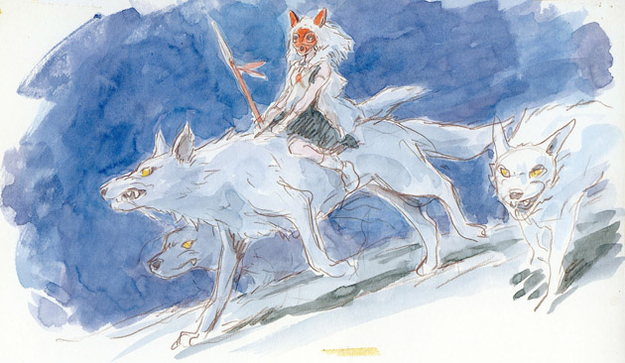 Princess Mononoke was their 11th film and debuted in Japan in 1997. And despite a very rocky release in America, the film endures as a classic. Hayao Miyazaki has a very distinctive visual style to his art and the movies he creates. Although strongly resembling the Anime medium, his work still stands out from the blanket of different anime movies and shows. He alters realism to fit his style of animation, yet still retains the weight and dimension of his characters. Although fantastical, his figures feel as if they truly exist in their environment. A very unique fact of Ghibli movies is that most of the concept sketches are done in watercolor. They’re able to capture movement and life using this medium, and the skill of the animators is clearly seen as they’re able to take these drawings and translate the feel into the films. In addition to their sketches, the storyboards are all done with watercolor as well. Princess Mononoke is a very dark story, with Ashitaka being a lone beacon of hope and light. His relentless idealism and desire to seek peace maintains through the film, despite everything he endures. Hayao Miyazaki, himself, is a pacifist. And like all artists, his beliefs and worldviews enter all of his works. Miyazaki doesn’t simply present his pacifistic views to push an agenda, but instead threads them throughout the movie to add depth and passion to the film. He creates a story where everyone is following their own ideals, and shows how those ideals clash. Visually, the tone of the movie changes as the themes grow darker. To be completely honest, I could do an entire post on the environments of Princess Mononoke, and in the future I very well may. Another thing that defines Miyazaki films is the attention to detail. Everything from San in Spirited Away tapping the toe of her shoe to make sure it was on securely to Howl’s hair falling about his shoulders in Howl’s Moving Castle. 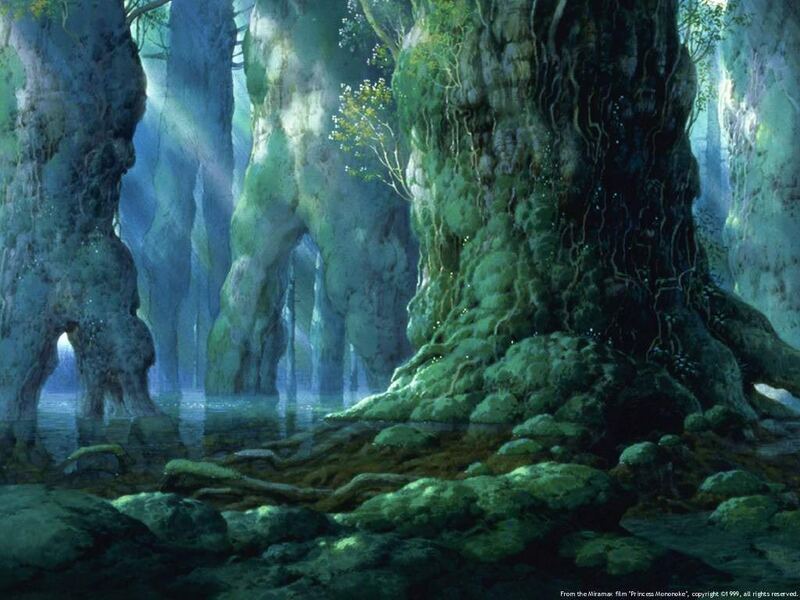 And the environments of Miyazaki films also hold that high attention to detail. Each background painting captures the tone of the area in question. And as the environment is the stage for the story, it is fitting that a high level of detail is used. 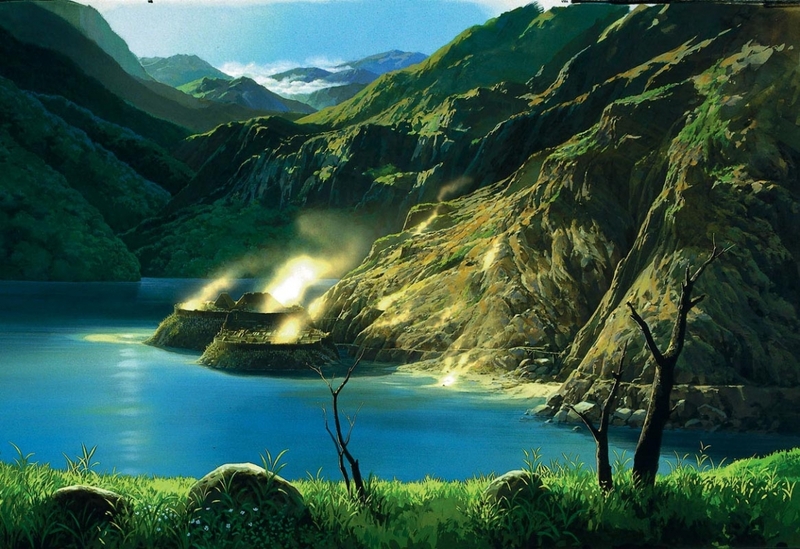 Atmospheric perspective was used in this above environment painting, as well. In this case, it not only shows the depth of the forest, but gives it a mysterious quality. Unlike the mountain range where all the edges are crisp, the edges in this area are softer, more hazy. In these uses of techniques, the environments come together to create a cohesive world with varying emotions and intentions. 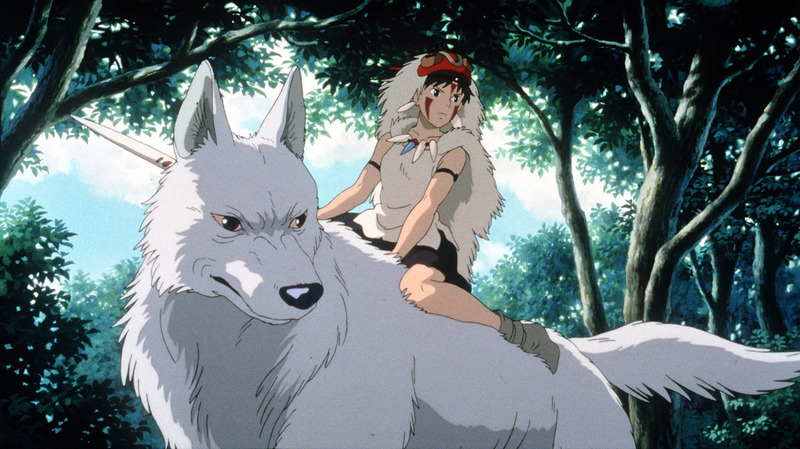 The music of Princess Mononoke was composed by the award-winning Joe Hisaishi. 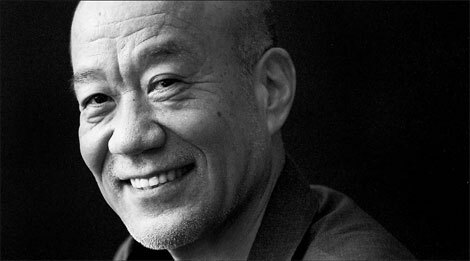 Hisaishi has worked with Miyazaki on many films, such as Nausicaa of the Valley of the Wind and Spirited Away. His compositions for Miyazaki’s films stand as testament to his skill. His music pulls you into the world, and will stay with you long after the movie is finished. What do you think of Princess Mononoke? What parts of the film were your favorite? What other Ghibli or Miyazaki films do you enjoy?